To provide further inspiration for Almond Day and beyond, California Almonds brings together Registered Dietitian Nutritionist Christy Brissette and food blogger Maryanne Cabrera of The Little Epicurean to offer new, simple snacking ideas, along with heart-smart wellness tips to help fuel anyone’s fast-paced life. 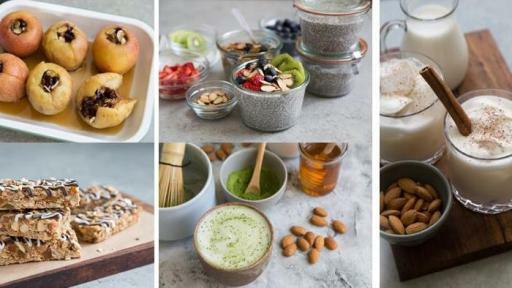 From make-ahead snacks like date almond bites and almond fruit pizza to chia pudding and an energy-boosting almond matcha latte, there are many ways almonds can be enjoyed every day. This #AlmondDay, California Almonds’ social media fans are encouraged to share how they incorporate almonds into their busy schedules using #OwnYourEveryDay and #AlmondDay. Visit Almonds.com/Consumers/Own-Almond-Day for more information, tips and recipes and Almonds.com/Consumers/Snacking/Own-Your-Everyday to check out more ads and fresh content. Christy Brissette, MS, RD is a high energy TV personality, award-winning registered dietitian nutritionist and President of 80 Twenty Nutrition. 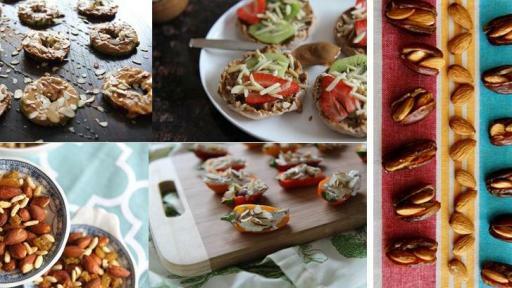 She’s passionate about helping people learn to love their bodies with healthy, delicious food. Christy is a spokesperson and nutrition and food writer for The Washington Post, Fitness online, SHAPE, Prevention, Men’s Fitness and many more. She is regularly interviewed by international media about nutrition and health. Christy also sees private clients for weight management, digestive health, diabetes and cancer survivorship. For healthy recipes and nutrition tips visit her website 80twentynutrition.com, or visit her on Facebook, Twitter or Instagram. Maryanne Cabrera is a native Southern Californian who loves food, travel and animals. After graduating from the Culinary Institute of America and The French Pastry School, Maryanne channeled her passion into her food blog The Little Epicurean. A reference to her love for exploration and flavor, Maryanne shares a wide array of sweet, savory and boozy recipes on the blog. For recipes and inspiration visit her website thelittleepicurean.com, or visit her on Facebook or Instagram.